A huge congratulations to Tara Wilson (Right) winner of the Sleep Matters Brief; and our two other RSA finalists, Holly Humpries and Alexandra Wiberg Rasmussen for the Working Well Brief. 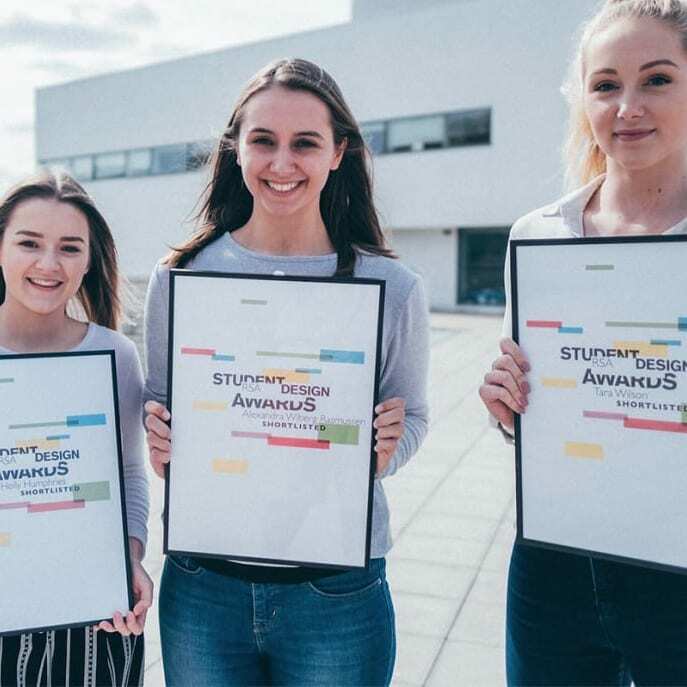 The Sleep Matters brief required the students to design a product, service or system to improve health and wellbeing by encouraging or enabling better sleep. Tara discovered that 75% of seizures, in people with type 1 diabetes happen overnight. This is due to a condition known as hypoglycaemia which can occur in people with low blood sugar levels which can result in a seizure occurring during sleep. Tara’s primary research revealed that many with this condition were afraid to go to sleep resulting in anxiety and sleep deprivation. Tara’s response was to use the main symptoms of hypoglycaemic attacks, to develop the “One Watch” which would track vitals such as heart rate, sweat and muscle spasms. 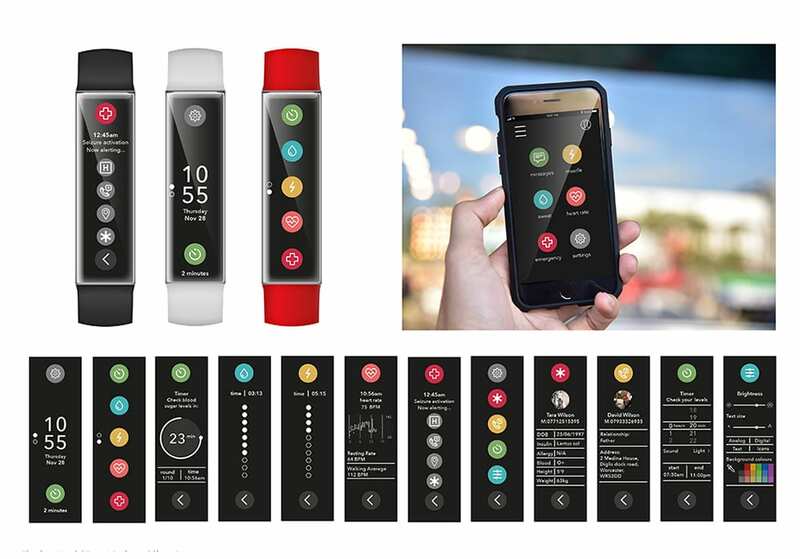 The watch would be designed to alert an emergency contact and the emergency services based on the affected individual’s GPS location, once triggered. 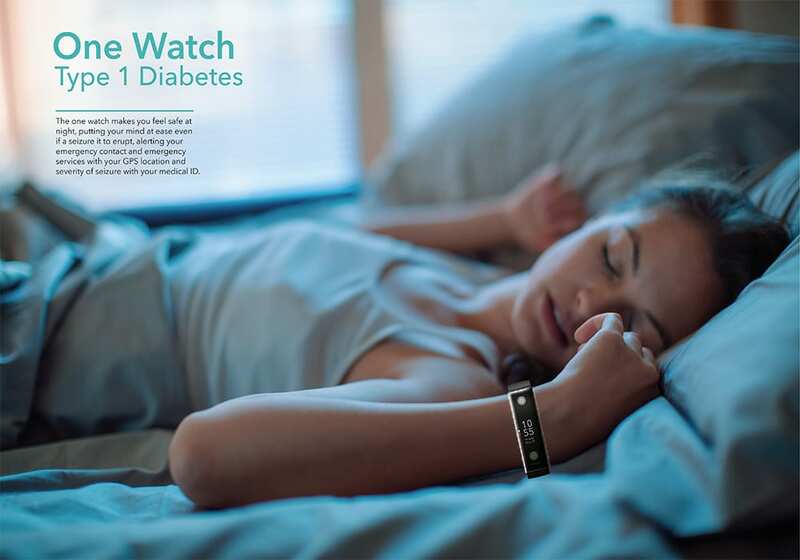 One Watch is about feeling safe and connected to others while enjoying peace of mind and a sense of safety before and during sleep. Mental health in the workplace is an ongoing concern. In the UK, one in six working aged people will experience poor mental at any given time. The Working Well brief aimed to address this issue by asking students to design a vision and business case for a way to promote better overall mental health in the workplace. Holly identified that workers between the ages of 30 – 50 were most likely to consider suicide. She discovered that male suicide rates within the UK are 3 times higher than female suicide rates. Holly also discovered that group therapy; the setting of personal goals and challenges, such as learning a new sport were interventions that could help build confidence and alleviate the stresses of working life. In response she developed “Blokes” an organisation, that would hypothetically work alongside hardware supplier B & Q. 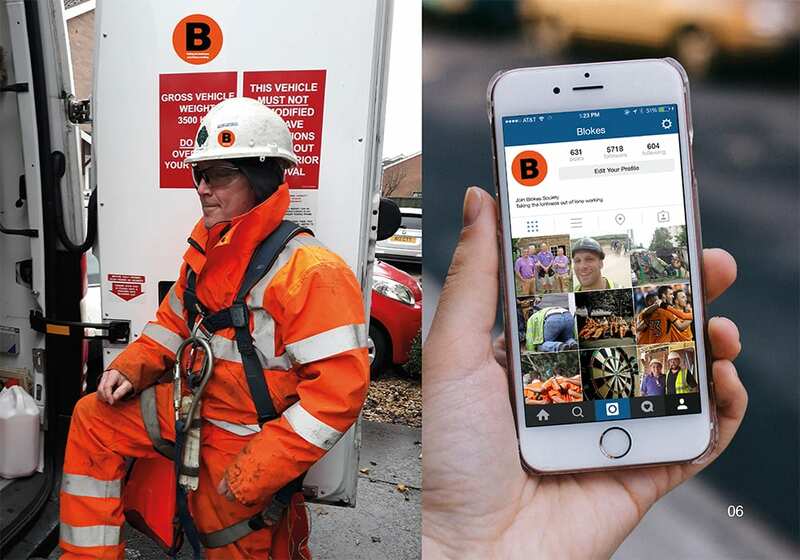 The new organisation would focus on supporting lone workers, such as plumbers, builders, and roofers by developing a network of lone working individuals who would be able to connect and communicate with each other. 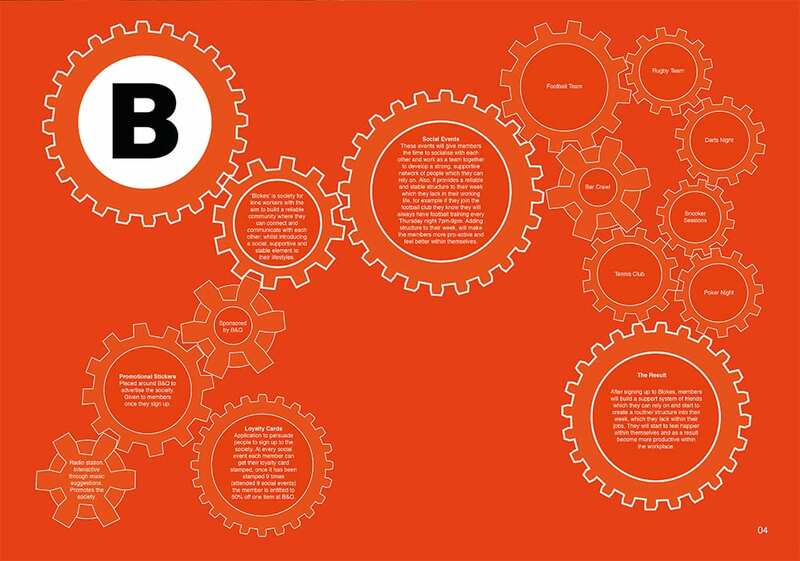 Blokes’ 3 year plan included the intention to introduce the men to various lifestyle-based interventions through Blokes hosting sporting events and a radio station, as well as various branding interventions aimed at assisting lone workers to join, identify other members, and connect with each other. As indicated the Working Well brief asked students to design a vision and business case for a way to promote better overall mental health in the workplace. 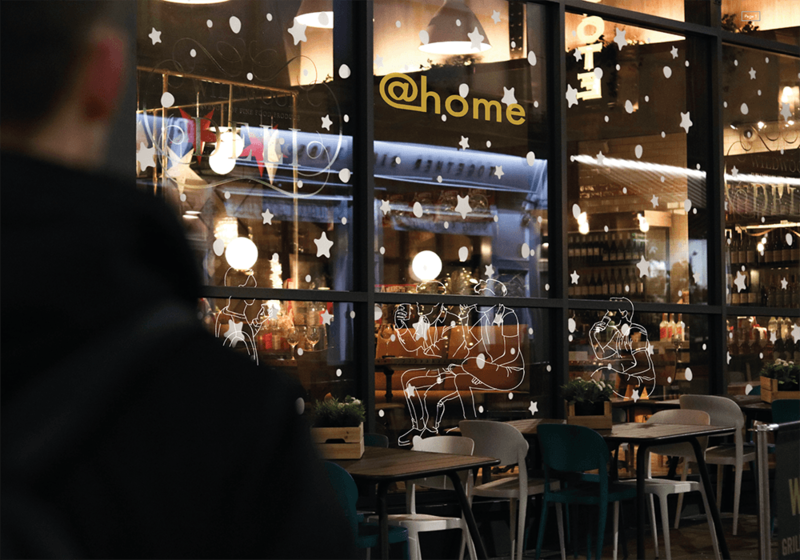 Through a process of qualitative research, in the form of unstructured interviews with business travellers, Alex discovered that many of these individuals experience acute loneliness while away from home, particularly during meal times. 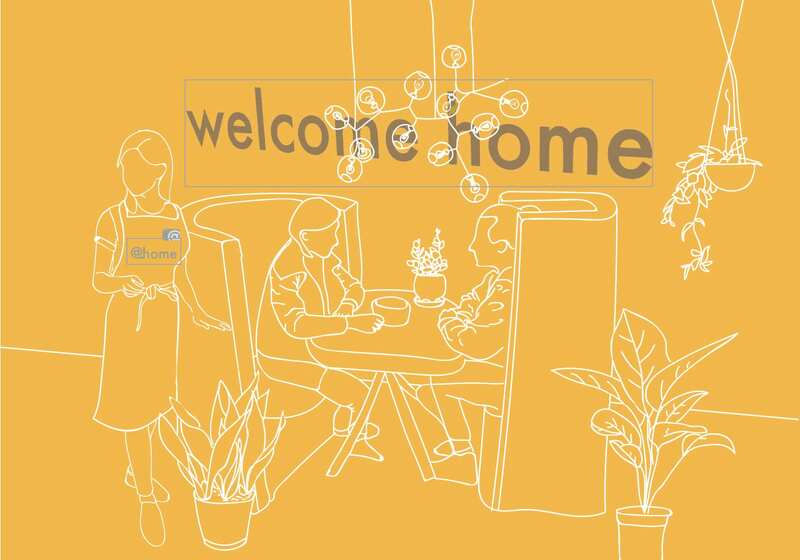 Her solution was to develop a social kitchen franchise designed to encourage homesick business travelers to cook and interact in a “home-away-from-home” environment. The kitchen would be targeted at people who travel for work and stay away from home mid week. Alex found that after work and in some cases during work people had feelings of loneliness which transmuted into stress. @Home involves lonely people coming together and uniting over a ‘home cooked meal’ cooked by themselves with strangers. This is a way to meet new people, develop conversations through communal activities such as cooking. This solution aims to give workers a place where they can go as they would have at home that is not their hotel room. 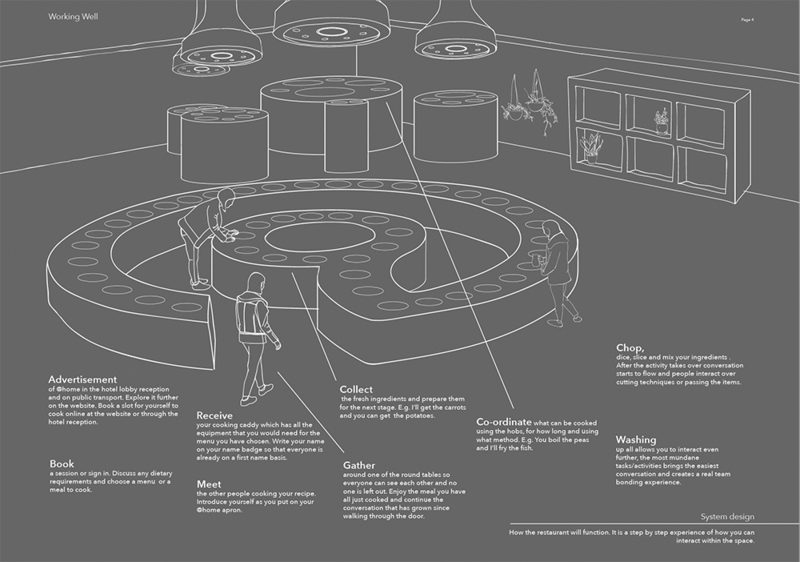 It offers an interactive space in which people in similar positions can meet. Specific materials such as wood, metal and textured fabrics would be included in the space to create a natural feel and a barrier away from work and technology. Specially made furniture would be designed to make people feel included and not left out, the rounded tables, hob and sofas ensure that no one sits alone. Plants and gardens would also be in the space to encourage people’s interaction further, the proven benefits of gardening, people could even do a little gardening by nurturing the vegetables that the kitchen eventually use.